Have you ever heard the phrase, “Treat your body like a temple for you are only blessed with one?” What does this phrase actually mean? It wasn’t until I became a healthcare professional that I truly understood the meaning. In my profession I am privileged enough to treat patients of all ages, due to which has given me great insight on many unknown possibilities one may not consider in his or her early 20s. For example, the stress I put on my body in my 20’s will ultimately determine my abilities when I reach my late 80’s. This has changed my mindset when exercising, eating, and overall appreciating my youth. In order to maintain a healthy, well-rounded body in my late 80’s there were a few areas that needed to be improved in my training regimen. This is when I discovered preventative training. Preventative training is like rowing a boat. In order to get from point A to point B without travelling in a circle, one must evenly distribute the oars from left to right. The same concept can be thought of when exercising. If an unbalanced training regimen is implemented, our body will play the same role as the uneven rowing of the boat. Goals will not be accomplished and the body will remain the same, or worse, injury may occur. Too often at the gym I see individuals working past their limitations. Not only that, but often I don’t even see these individuals perform a simple hamstring stretch. From personal experience, I know this will eventually hinder goals; as well as mentally and physically set them back. 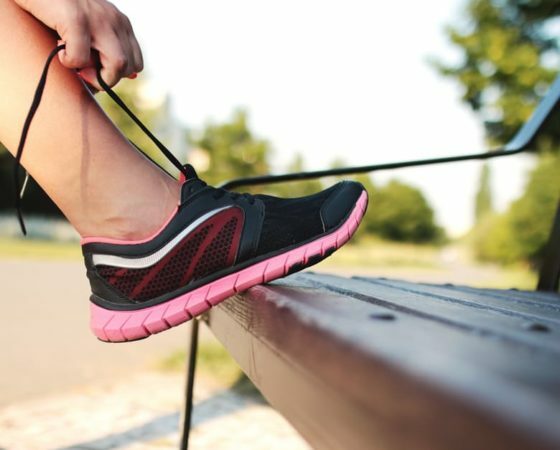 Last summer, when attending boot camp after boot camp I began to see change in my body and my exercise regimen was at its peak performance, but I forgot one major piece of the puzzle; stretching. It wasn’t long before sleeping became an issue, standing for long periods of time became painful, and bending over was nearly impossible. Due to such pain, I was no longer able to attend boot camps let alone even make an appearance at my daily “therapy session”, the gym. For months I struggled with this set back, until one day in late November I decided it was time for change. Most individuals feel that stretching is a waste of time because they don’t get that “exercise high” or they’re not “burning calories” or “gaining strength” from stretching. Unbeknownst to most people, stretching can actually promote fat loss in the body when done on a regular basis. How, you may ask? With proper breathing techniques, stretching encourages relaxation which lowers cortisol levels in the body. Cortisol is a “stress hormone” which spikes with any physical, mental, or emotional stress, which ultimately allows for fat to build up in unwanted areas of the body. After reading this unknown fact, and realizing stretching took away the pain that was limiting my ability to make it to the gym; I decided it was time to stop rowing my boat in a circle and focus on getting from point A to point B. Not only did I notice this similar trend in myself, but as well as the patients I was treating. I’m sure I’m not the first to tell you that everything needs to be done in moderation. This includes exercising. You could work out seven days a week and ultimately end up in the same place as someone who has never stepped foot into a gym. For example, I have treated patients who had the ideal lean, toned, fit body everyone sees in the fitness magazines on the outside, but on the inside there was a different story. All the hard training, no rest days, and neglected stretching led to tonic musculature restricting everyday tasks. Stretching is an activity that can be performed by everyone, from top athletes to senior citizens, meaning any person at any activity level can stretch and notice benefits. A top athlete will be able to perform a deeper squat due to improved range of motion in their lower extremities. Where senior citizens can improve their mobility as well as functional independence when performing regular stretches due to less restrictions in joints. In order for it to be effective, stretching needs to be done with a purpose. This doesn’t mean flipping through Facebook or posting on social media. Tune out every day stresses and focus, focus, focus. Take slow deep breaths to allow oxygen back into the muscles that were just stressed. Each stretch should be performed twice for at least thirty seconds, with mild to moderate tension on the elongated muscle. During the second set you should be able to stretch the muscle farther than the first. Soon, this will become a standard to your exercise routine. Results will show and you will be able to start making strides toward your fitness and health goals while preserving your “temple” with preventative training. It is now my goal to shift my patients’ perspective on exercising for the rest of their lives, rather than just appreciating their ability in their early 20’s. If you are unsure of how to integrate preventative training into your exercise regimen contact Complete Physical Therapy at 402-483-0006 and a licensed professional can assist in making your life easier in your late 80’s.